A bridge is a great way to showcase your facility or business. Whether you need the simplest possible structure to cross your stream or roadway, or you want to provide something your customers or clients will notice, there is a bridge out there that’s right for you. But the options can be dizzying. 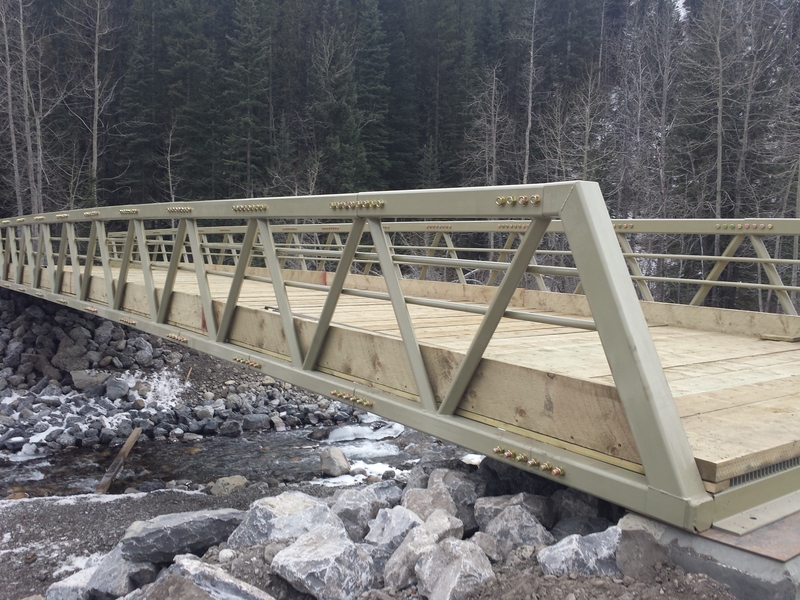 Pedestrian bridges don’t just come in all shapes and sizes, they come in steel, wood, or composite material. They can have wood, concrete, or asphalt decks. They can be designed for pedestrians only, small vehicles or highway loading. They can come in any length or width. And all this comes before the price and shipping location are considered. In this article, we will attempt to lift the veil and answer as many questions about pedestrian bridges as we can. Trusses can be used at almost any site. They can be built in span ranges from 30 ft (10 m) to about 200 ft (67 m). They can be built to any width, and can be designed to accommodate vehicles as well. They are generally made out of steel. Although wooden trusses can be built, the relative weakness of the connections would limit the bridge spans to somewhere in the range of about 60 ft (20 m). Composite materials like Fibre Reinforced Polymer (fibreglass) can be used as well. They allow for span lengths similar to steel but because only bolted connections are possible (no welding) the truss options are somewhat limited. Wood is generally the cheapest but needs to be replaced about every 15 years. Steel grate is still relatively affordable but its transparency can be uncomfortable for some users. Concrete is fairly expensive and has a high dead load (self weight) which could require a larger truss (more cost), however it is very aesthetic. Asphalt has the same pros and cons as concrete. The cost is also similar, but the only difference is a stronger skid resistance for vehicle tires. When the primary use is for pedestrians, trusses should be built with a camber (upward bow) to ensure the bridge never contains a downward bow under loading. A downward bow creates an alarming situation for the travelling public, even if the bridge is not actually in danger of failing. It also allows for more water flow or vehicle clearance underneath the bridge. Ideally, trusses are fabricated in the plant and delivered to the site as one piece. However, in some cases the bridge is too long or must otherwise be assembled at site. This does not result in any structural issues but a small additional cost (approx. 10%) must be factored in to account for the additional bolts, welding, and installation. Most highway and city bridges are built with girders (beams) spanning the opening and a deck placed perpendicularly over it. The load is taken by the girders, underneath the traffic. The side railing is not a structural element; It simply keeps the traffic on the bridge. 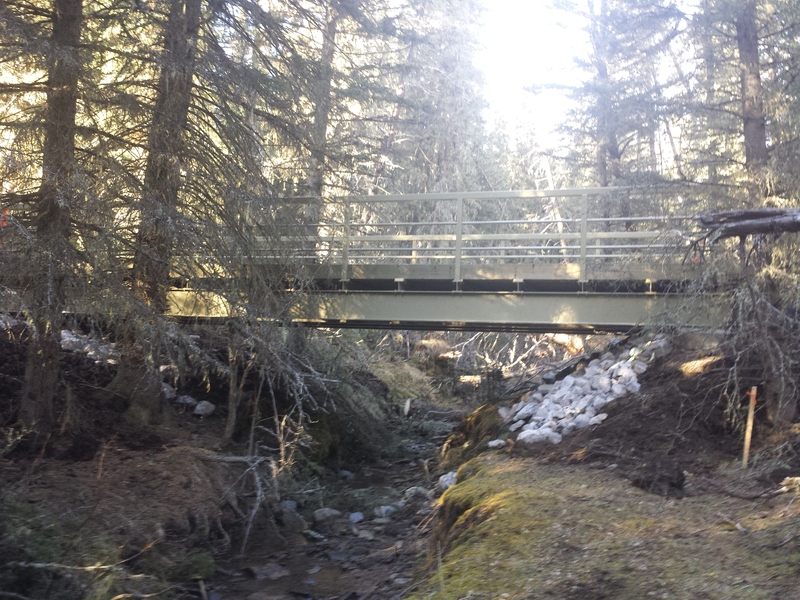 They can be built any length, width, deck type, or material, from a small creek bridge to a large highway bridge. Technically, a log placed across a stream is a girder. There is no real restriction on the number of girders, width, deck type, or railing type. All of the options can be built relatively easily with only the cost being the major differentiator. The cost of girder bridges increases exponentially with their size. That is, the longer the span, the bigger the girders need to be, and hence the bigger the cost per square foot of bridge. To put it another way, the amount of steel under each square foot is higher if the girders are larger. At a length of roughly 40 ft (13 m), plus or minus, girder bridges usually approach their prohibitive cost point for most applications. A pier can be built to limit the span, but naturally this comes with a corresponding cost as well. Arch bridges can be very aesthetic. 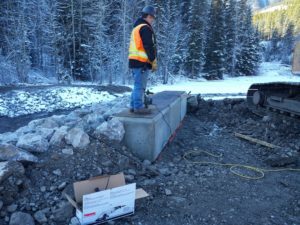 They consist of corrugated steel or precast concrete plates on cast-in-place foundations, and they require good quality backfill around the structure. They can have an aesthetic retaining wall on the outside face, rock riprap, or just grass. Arches can make excellent pedestrian structures but they are not always an option. Depending on the geometry of the site, an arch might require importing alot of gravel backfill. It might also be a very long, dark structure for pedestrians. Manufacturers of arches will generally include the design of the structure in their prices to supply the structure. However, they will not do any design outside of the “backfill envelope,” that is, site plans or the like. If you need anything more than a structural design of the structure and related backfill, their insurance requirements will force them to decline and you will need to hire an engineer. For the smallest bridges, say up to 60 ft (20 m), either precast concrete blocks or jersey barriers work well. The base below the precast units should be well graded, compacted gravel. Medium size bridges with a length of 60 ft to 120 ft (20 m to 40 m) should implement more competent abutments. They should be cast-in-place concrete or steel, and they should be on footings or piles. They should be engineered and include a geotechnical investigation which includes drilling to determine the subsurface conditions. Long bridges greater than 120 ft (40 m) in span should be engineered and will likely require piles. 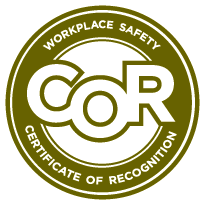 These should be viewed as rough guidelines as they can vary quite substantially based on the site conditions. If the bridge is spanning a watercourse it must withstand the required design flood. This depends on the jurisdiction and governing building code but the target usually ranges from 1:100 years in the city down to 1:25 years for remote, low traffic bridges. Survey the site to determine average stream cross-sections and geometry. Determine the drainage area of the site. Gather precipitation data from the appropriate source. Use standard procedures applicable to the jurisdiction, such as the rational method, NRCS method, or unit hydrograph method to determine the 1:100, 1:50 year, or 1:25 year flow for the site from the precipitation and drainage basin data. Since the drainage basin can have several different rainfall distributions in different areas, civil engineers normally use specialty computer software to determine the design flow. Use Manning’s equation to determine the flow characteristics at the site, in particular the height (depth) of flow and its velocity. Determine the stream cross-section under the bridge that meets the criteria and calculate the bridge length. Naturally, the cost of pedestrian bridges can vary quite a bit based on location, shipping requirements, and other factors, but I will try to give a bit of guidance here. The fabrication and delivery of a pedestrian bridge will roughly fall into the following ranges. The installation of the bridge is generally about the same as the fabrication. If there are major obstacles to the construction of the bridge, such as site access, ground conditions, and so forth, an additional amount should be budgeted for bridge construction. Also, a concrete deck or abutments will require a roughly 25% premium. 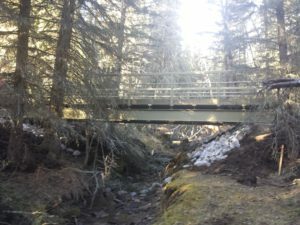 If you require a small bridge with a length of less than about 45 ft (15 m), there will be local manufacturers in most cities in North America, in both steel or timber. Many welding shops can produce a small steel bridge and will have an engineer who provides the stamp as well. Similarly, wooden structures will contain suppliers in most major cities. For bridges larger than this, several larger manufacturers are available who design and manufacture pedestrian bridges and will ship throughout North America. Any of these firms provide engineering stamps for installation anywhere in North America. 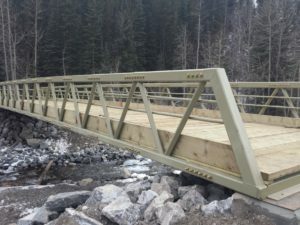 If you are located in the western Canadian provinces of British Columbia, Alberta, Saskatchewan, or Manitoba, Roseke Engineering can provide an engineer-stamped steel bridge built in our facility in the Crowsnest Pass, Alberta. We can also offer support with any other issue such as hydrology, abutment design, bridge repairs, and so forth. Please see our prefabricated bridge options. Assemble the bridge on site. Excavate to the minimum elevation required for structural stability (more guidance on this below). Backfill with well graded gravel up to the foundation level. Move the bridge onto the foundation. Topsoil and organic material should not be present beneath your abutments. If the ground beneath your abutments consists of any organics, they should be removed and replaced with a well graded gravel. If your site contains mostly clay and silt material, you have a decision to make. A good, hard clay can provide a good foundation, but it needs to be a good material. When rolled in your hands it should roll up into a ball, not flake away into pieces. A good test would be if you dig a 3 ft (1 m) deep hole with vertical sides and the sides hold together, the clay would be adequate for a bridge foundation. Bad clay that is excessively wet or does not hold together in a vertical wall will not be a good foundation for a bridge. Gravel makes a fantastic bridge abutment foundation, but if possible you should use the in situ (in place) material. If you have to import and backfill loose gravel you will need to compact it in small lifts, say 6 inches (0.15 m), until it is solid. Rock, if you are blessed with it, is the best foundation there is but it requires a bit of work to secure the bridge to it. 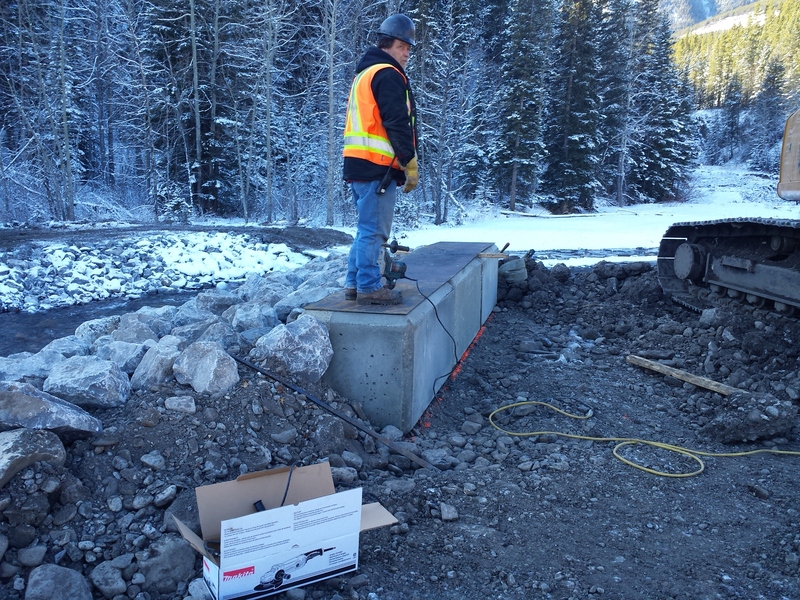 If you are using a precast concrete block or jersey barrier foundation you will need to create a flat top on the rock, which is a challenge. After shaping the rock with a jackhammer (available as an attachment to an excavator), gravel with lots of fines will help to fill in the gaps in the rock and create that flat foundation. Like the gravel foundation, it will need to be well compacted. Similarly, if you are pouring a cast in place concrete foundation on rock, a good rock anchorage system consists of anchors every 12 inches (0.15 m). These anchors consist of drilling into the rock and placing rebar secured with epoxy. If you have any type of rock foundation you should probably budget for an engineer. Hopefully this answers some of your questions. Please give us a call for any of your pedestrian bridge needs.